Triboron is a unique, patented technology for reducing mechanical friction. Mixed with fuel ( 1:700) it results in sustainable fuel savings of at least 3-5%. The Fuel Formula interacts with the metal surfaces and forms a tribo-film layer that reduces friction to a minimum and protects mechanical parts from wear. It also cleans the injectors to help maintain the efficiency of the engine and the emission control system. 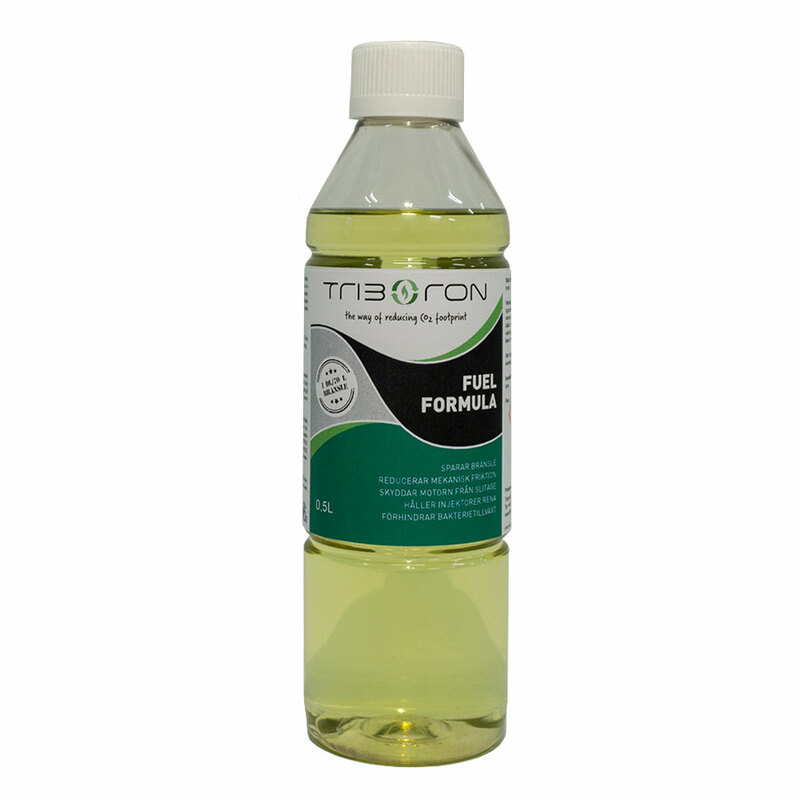 The Fuel Formula has excellent abilities also in ethanol. It prevents bacterial growth in diesel and bio fuels. For all types of engines powered with petrol, diesel and ethanol in all types of vehicles, including cars, trucks, buses, motorbikes, boats and diesel machines, moving as well as stationary. 1:700 (1 decilitre per 70 litres of fuel). Bacterial Decontamination: 1:350 (2 decilitres per 70 litres of fuel).